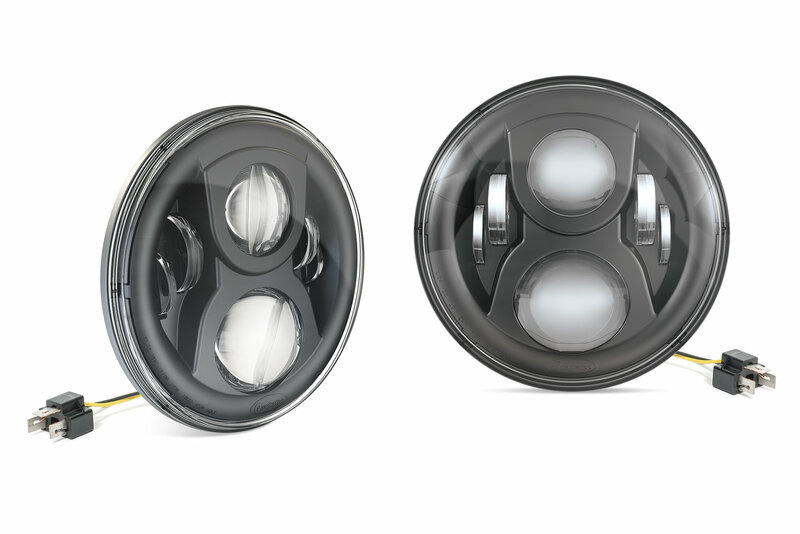 Our revolutionary Premium High Performance 7” Round LED Headlights for your Jeep CJ & Wrangler TJ are exclusively engineered for Quadratec by J.W. 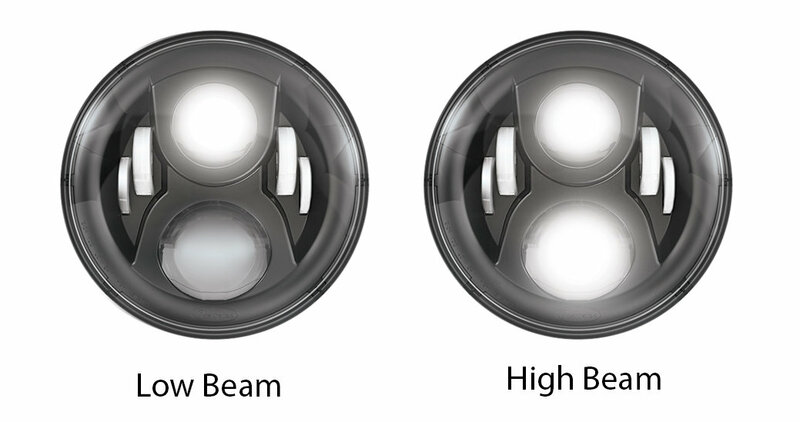 Speaker and offer Dual-Burn® high & low beam optics, giving drivers that ultimate punch of light they are looking for at night. All Premium LED projector head lamps feature fully approved DOT markings and easy plug & play installation with no modifications required. Made in the USA. 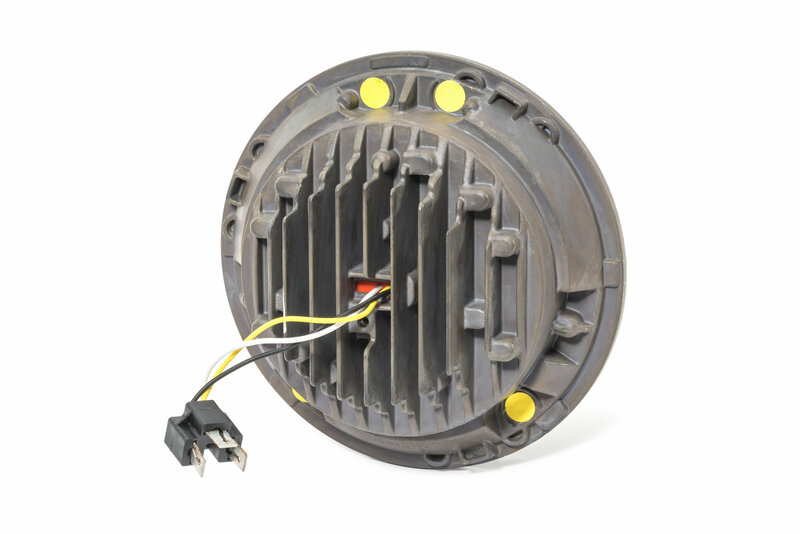 Plug & Play: No modifications needed to add these headlamps to your CJ or Wrangler TJ, just use the provided wiring harness to plug right in and get back on the road with a set of brighter headlights. Does this light go offer a halo ring around it?